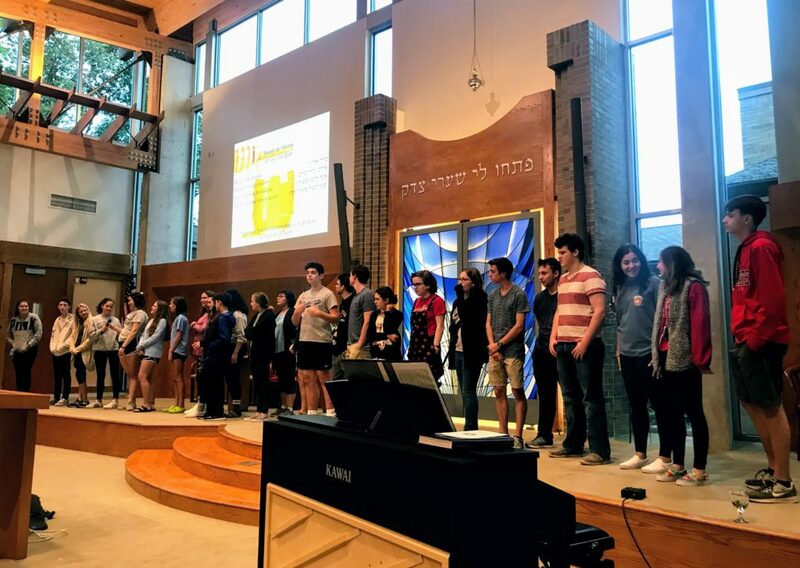 Beth Tikvah features an active madrichim program with high schoolers serving as teaching and office assistants in our Religious School. Madrichim are teachers and role models. They prepare lessons and teach students. They serve as role models to our younger students and create a “coolness” factor to being Jewish. Madrichim lead small group discussions and tutor kids individually in Hebrew. They introduce new and exciting activities and provide feedback to the teachers. The program is open to students in eighth through twelfth grades who are enrolled in Religious School. Student commitment is imperative and lasts the entire season of Religious School. Madrichim do go through an application process and need to have a recommendation from a teacher at Beth Tikvah. Our investment in the madrichim is an investment not only in their Jewish lives but in the lives of all of our students, by providing them with a Jewish connection and continuing to influence younger generations to do the same. Please contact Director of Education Morissa Freiberg for more information.